Since 1972, Bhutan has been attracting international attention as the only country in the world that quantifies its nation's well-being not by Gross National Product, the narrow and soulless measure of our economic monoculture, but by Gross National Happiness. 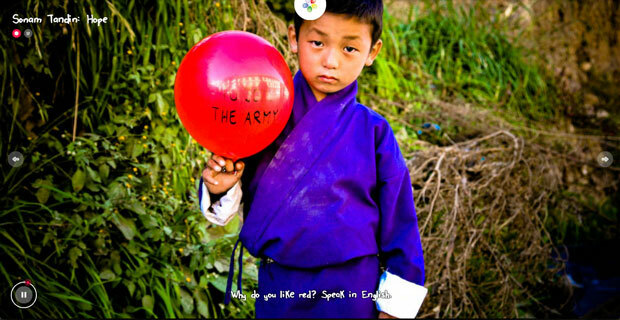 In 2007, artist Jonathan Harris (♥ ♥ ♥ ♥ ♥) traveled to Bhutan to explore the Gross National Happiness paradigm. 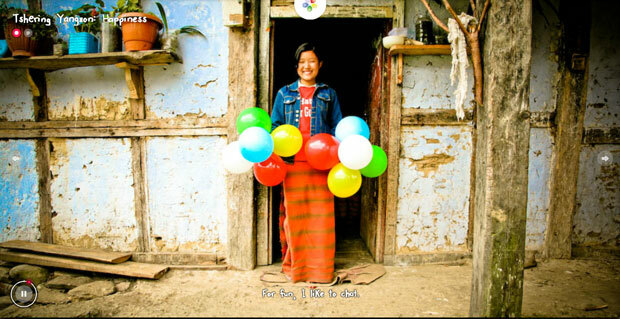 Balloons for Bhutan documents his effort to capture "a portrait of happiness in the last Himalayan kingdom" in his signature style of multimedia storytelling. Harris asked 117 people of various ages, occupations, education levels, and social status five questions related to happiness: What makes them happy; what is their happiest memory; what is their favorite joke; what is their happiness level on a scale of 1 to 10; if they could make one wish, what would that be. He then gave each person the number of balloons corresponding to their stated happiness, and wrote each person's wish on the balloon of their favorite color. 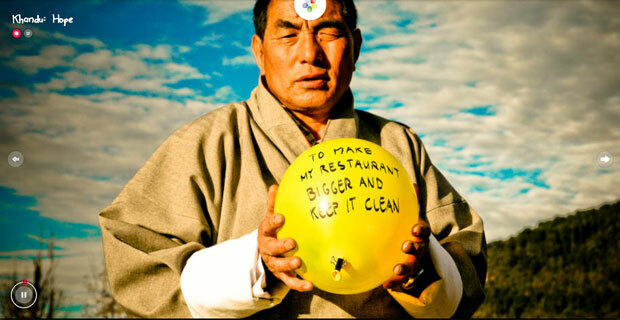 On the final night of his journey, he strung up the inflated balloons at Duchala, a sacred mountain pass at 10,000 feet, bobbing amidst Buddhist prayer flags. Explore the project in its full audiovisual glory for the complete effect.